 The Injection Molding Supervisor is responsible for directing a small team of molding associates in the areas of production, scheduling, safety, maintenance and quality. The successful candidate should have a minimum of 5 years’ experience of ‘hands-on’ injection molding and similar experience dealing in plastic polymers as well as supervisory experience. The position will require competencies that include molding, tooling, quality inspection and supervision. Education: Minimum of High School Graduate or GED. Degree in Plastics or Engineering OR 5 years hands-on work experience in Injection Molding. Experience: At least one year of experience in a similar setting with required education, or 5 years of experience without required education. Work independently, and is able to follow orders. Continuous Improvement experience within a manufacturing environment, preferably in an ISO 9001:2008 certified company. These physical demands are representative of the physical requirements necessary for an employee to successfully perform the essential functions of the Injection Molding Supervisor job. • Able to occasionally climb ladders safely and without assistance. Injection molding machine setters work in a typical factory shop setting and use protective equipment to avoid common hazards; such as, safety belts, protective glasses. Noise is heavy to moderate. Room temperature must be maintained warm in order to protect the product; room temperature can become warm at times. Candidate must be able to pass a background screen and drug screen. We are an equal opportunity/affirmative action employer (M/F/D/V), committed to a diverse workforce.